Our community has 3,117 members, 527 online now. We’ve published 9,772 stories, shared 8,323 images, made 10,347 blog posts and written 121,511 forum posts. A collaboration with my good friend Survivor. My closed fists keep banging on the wall. My lungs hurt so much from losing air. It's becoming hard to breathe. I never stop pounding even as I can see blood flow out from my bruised hands. 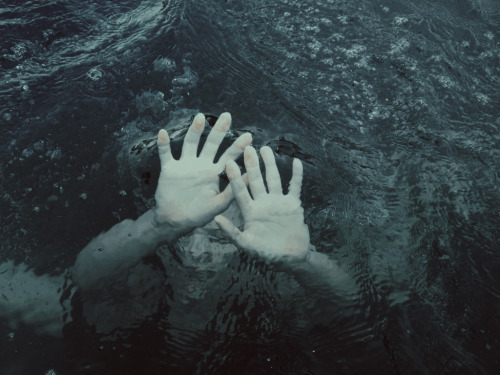 My mind is in a panic and the fear starts to creep up through my whole body because I don't know how to swim and the wall is giving me no respite so I can get my breath. I have begun to feel weak and hopeless, fearing that I shall never escape this suffocating place. My past flashes back across my vision as I start to lose consciousness. There appear the happy days of childhood life. Then the melancholy tears of teenage life. The tragedy of married life. Glimpses of happiness, of pain, and of suffering flicker into my eyesight. All of that flashes back as if I am watching a movie playing in front of me and the only lead player is me. My eyelids slowly close in on their own accord for they are heavy. And I am so tired from fighting to keep from drowning. I feel numb as the blackness takes over my consciousness. Then I slowly open my senses to the familiar scent of home and find myself securely in a warm embrace. The love that I feel warms my cold shivering heart. I find the need to heighten my wanting for this one person. Awakening here this morning instead of me being the one to offer a gift there is a smile from you that shines on your lips. It is showering me with the love I find only in your arms. Those arms that give me so much pleasure and so much happiness. Cupid will be proud of his achievement. The nightmares are over and in my sleep, I have found peace in your arms. Then I awaken fully and completely from someone poking me. "Wake up, sleepyhead! A lot of things to get done here at home. Stop being lazy!" Real life is calling again. The true nightmare begins.